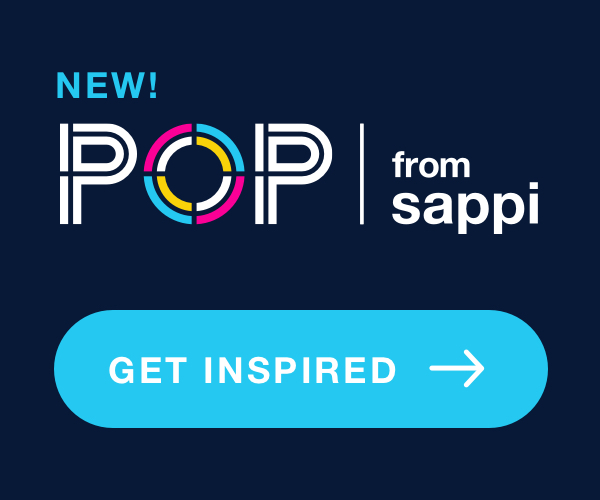 Built around what used to be the Pool Room of the former Four Seasons restaurant in Manhattan, The Pool restaurant derives its name from the square body of water that sits at its center. 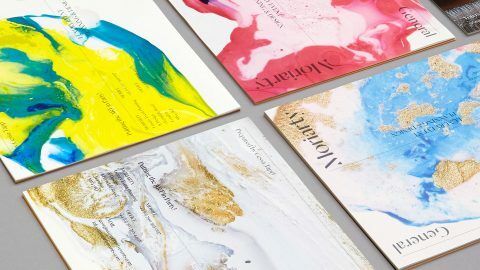 Otherwise it is quite understated in terms of its setting – an elegant quality that is echoed in its stationery, designed by Pandiscio Green and printed by DataGraphic, which impresses without ever being showy. And “impression” is the key word here. 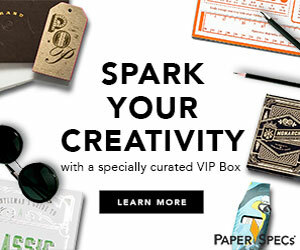 This is especially the case with The Pool’s gift card holders and notecards, which both feature the same signature motif blind embossed on 130 lb. 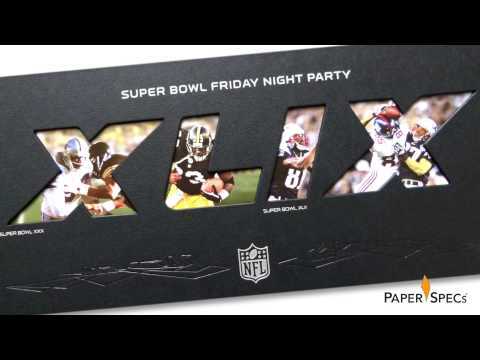 Mohawk Superfine Ultrawhite Smooth Cover using the same die. 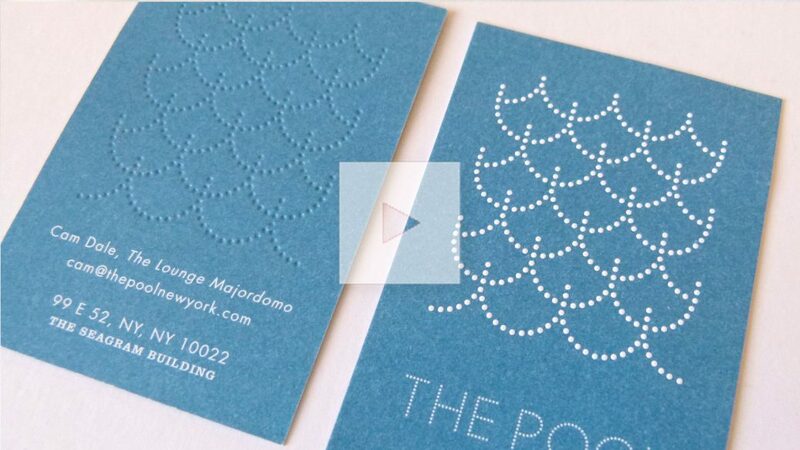 With the check presentation folder, we get a different riff on the same dot-pattern theme. 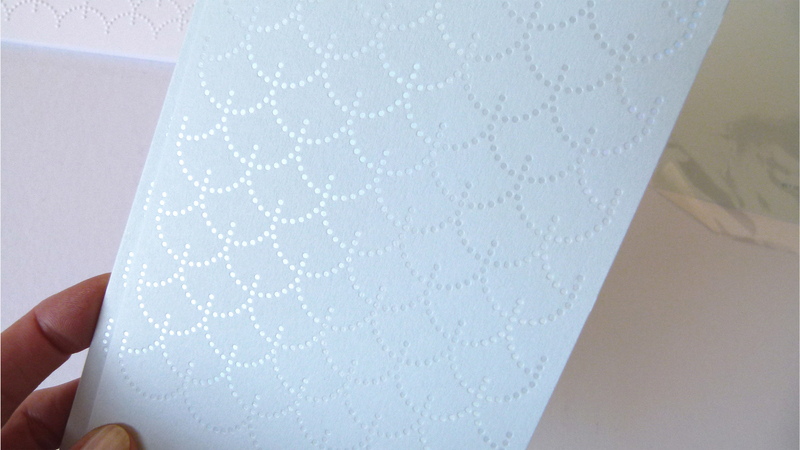 But instead of embossing, each dot is the result of foil stamping with Kurz Laser Holographic Foil on 130 lb. 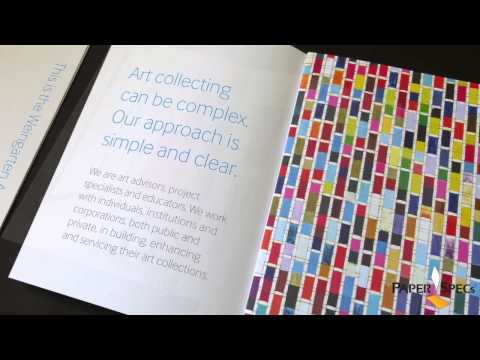 Colorplan Cool Blue Cover. 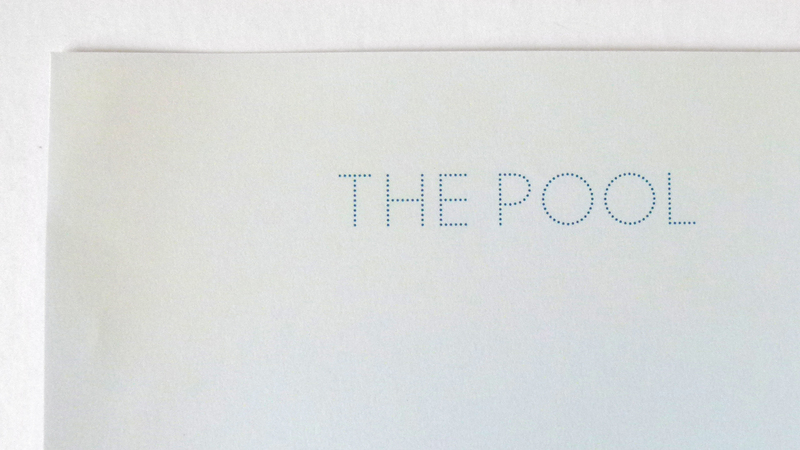 However, it is with The Pool’s business cards that this piscine motif really jumps out at you. 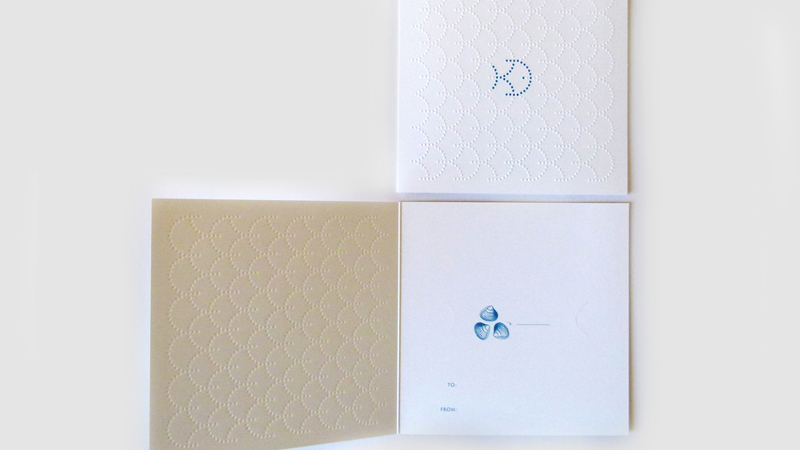 Once again DataGraphic turned to Mohawk Superfine Ultrawhite Smooth Cover. This time they flooded it with PMS 2138 except for the areas that they wanted to remain white. 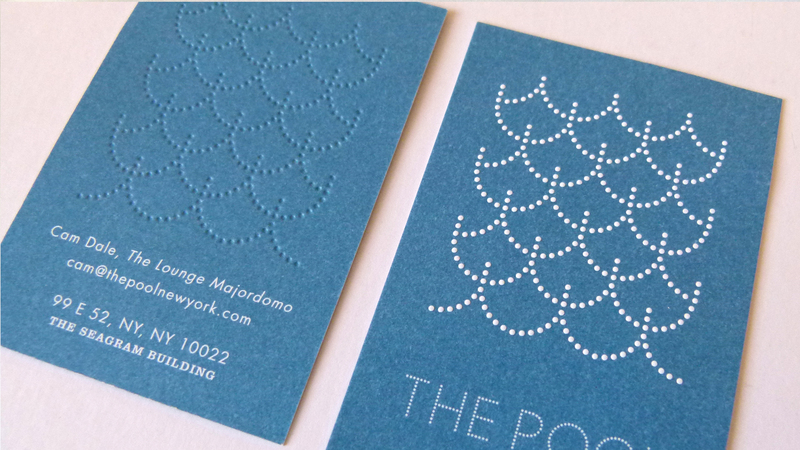 They then applied a registered emboss to that part of the card, leaving behind that now-familiar dot pattern, which pops beautifully against the blue background of the card. Letterhead: A simple affair in comparison to the other pieces, digitally printed on Neenah Classic Crest Windsor Blue Smooth Text and featuring the restaurant’s logo. 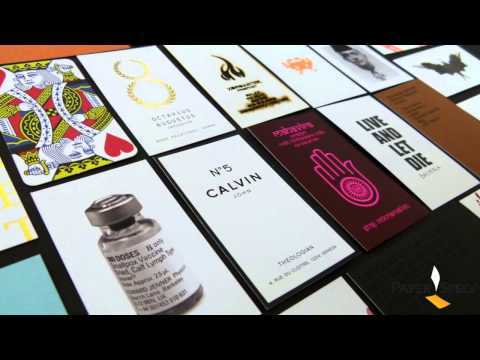 Another, less playful version of the business cards. 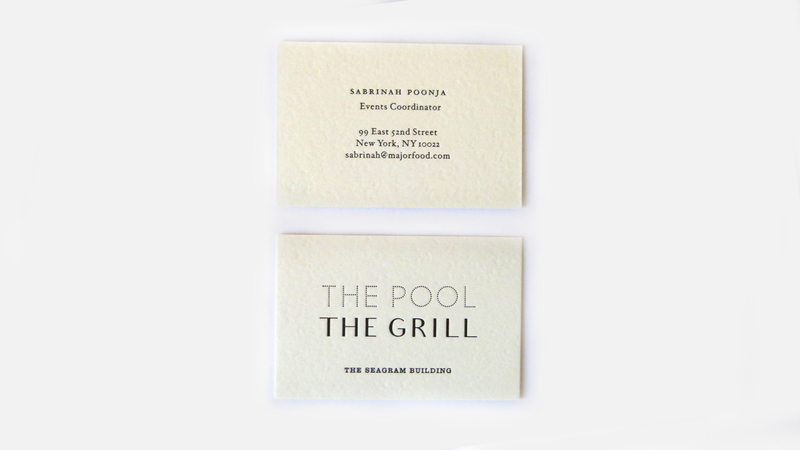 These are letterpress printed and feature logos both for The Pool and The Grill, another restaurant that was formerly a part of the Four Seasons – this one the Grill Room – located in the same building. 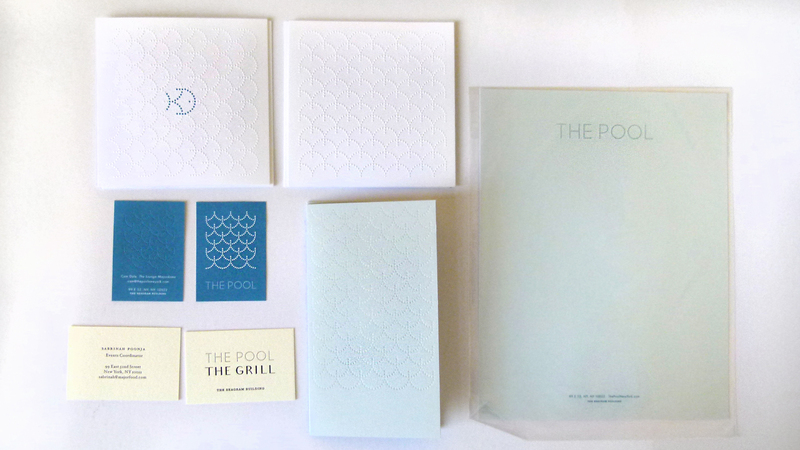 In all, the stationery for The Pool is as elegant yet as understated as the decor of the Park Avenue dining destination it represents.